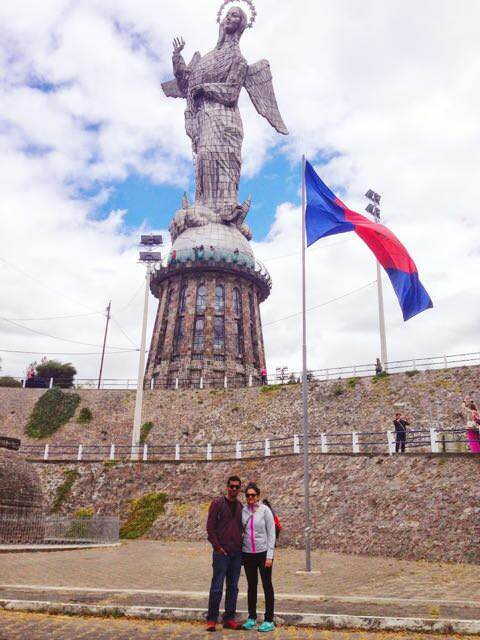 The first country outside the US that Shuchi and I visited as a part of our travel was Ecuador. 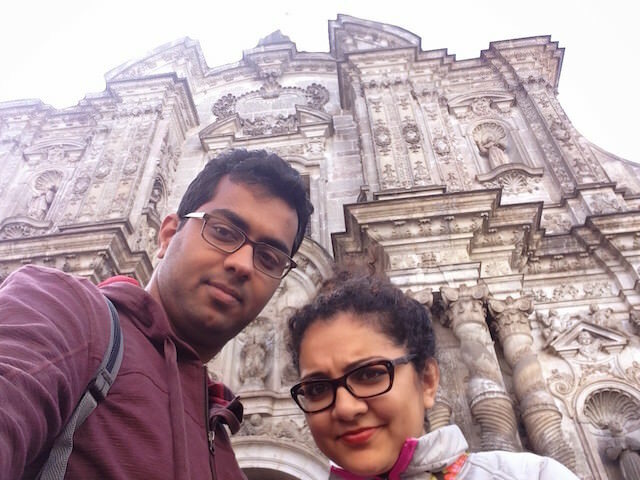 Though Ecuador was not a part of our initial list we later decided to go as it's beautiful and is one of the few countries that gave visa on arrival to Indians. 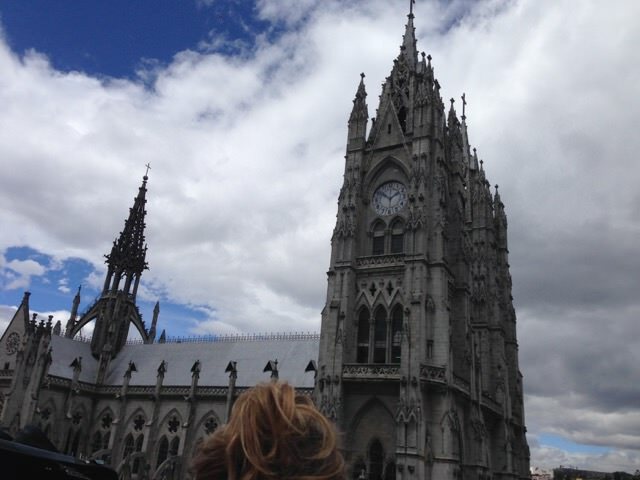 We planned to spend a total of 15 days in Ecuador visiting places like Quito, Galapagos Islands, and Guayaquil. 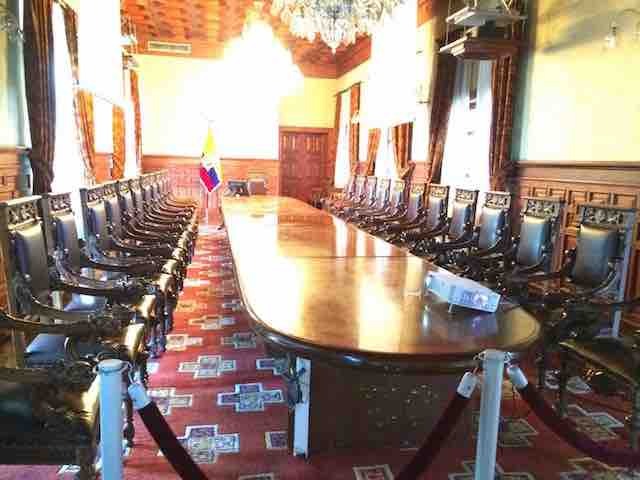 I always thought Ecuador as a third world country where the crime was high and had poor infrastructure. To my surprise, Ecuador is far better than what I thought. 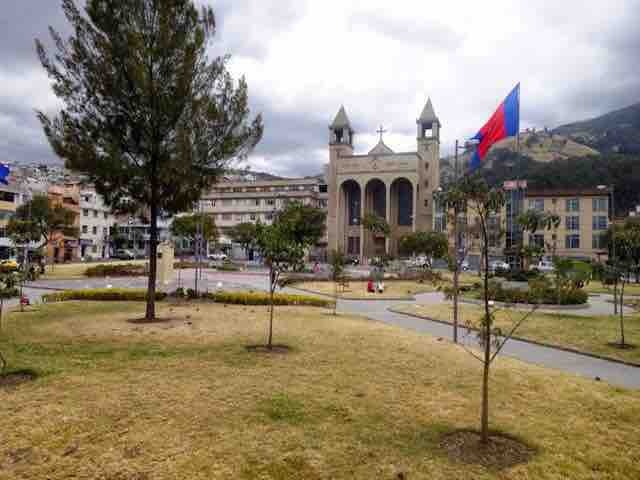 Right from the time, we landed at Quito Airport to our final days in Guayaquil we found most people very friendly and helpful – who want tourists to know more about their country, culture and make them feel comfortable and safe. Ecuador is a small but very diverse country with high mountains, nice Pacific coastlines, and Amazon rain forests. 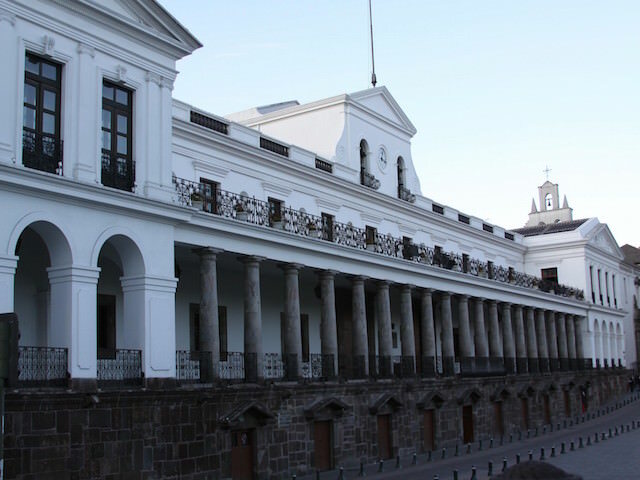 I am glad we visited this beautiful country and in this post I would like to share my thoughts about Quito — the capital city of Ecuador. 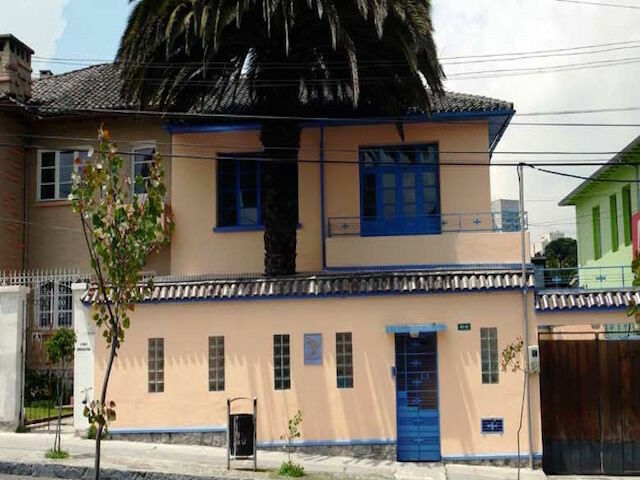 We landed in Quito at around 11.30pm where we booked a small hostel for 2 nights and asked for an airport pickup. Quito airport was very clean and well maintained up to international standards. Once we were done with immigration there was a driver waiting for us at the arrival hall who was arranged by our hostel. Not many people speak English in Ecuador and Shuchi’s effort of learning some Spanish via duo lingo was useful — at least it helped us in figuring out where baños (restroom) was when I desperately wanted to pee. We are learning Spanish as we are going — both duo lingo and Lonely Planet’s Spanish phrase book rescued us a lot of times. As we drove towards our hostel from the airport I was amazed to see 4 lane roads, proper road signs and street markings everywhere. Later I talked to a few locals and they told me that there were considerable improvements in infrastructure past few years — now they hardly have any power outages, roads are good and police became very active in cracking down crime in Quito. We drove through the city in the middle of the night among narrow uphill streets with sharp turns, some shady areas and finally reached our hostel in an hour. Our hostel — Casa Helbling Casa Helbling was a nice hostel where hosts were really friendly and helpful. 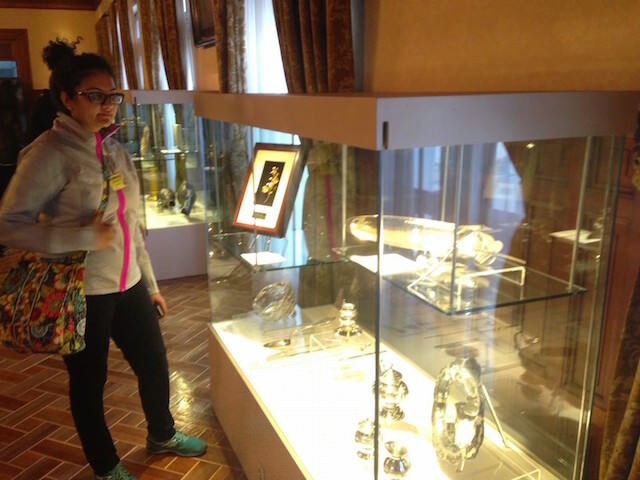 They helped us a lot in figuring out what all places to see and how to get around the city. We got a nice and cozy room with wifi. I was amazed to see how mobile and internet had penetrated in Ecuador. 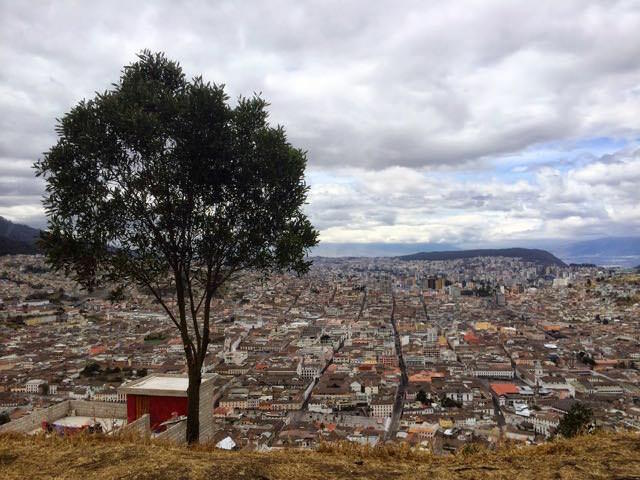 Wherever we went — shops, restaurants, and hostels — there was the internet everywhere in Quito. You see the small signs of ‘zona wifi’ almost every place — even in remote islands of Galapagos. As I am writing this post from our hotel in Guayaquil I am getting amazing upload and download speeds of more than 12 Mbps. Next day we had plans of visiting old town Quito, which is the world’s first cultural heritage site declared by UNESCO in 1978. 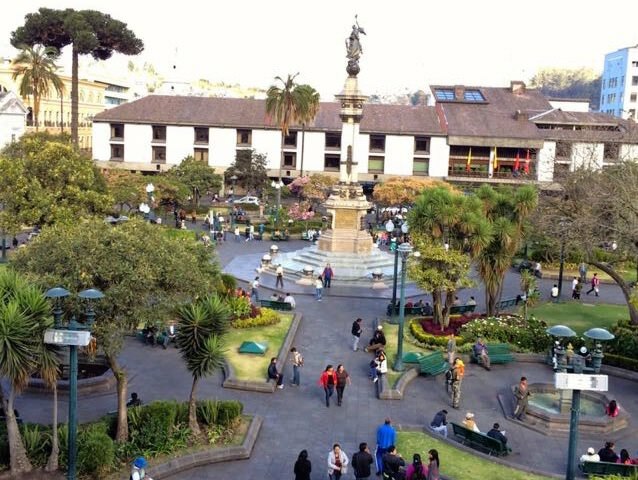 We took a hop on/hop off bus just a short walk from our hostel to Quito old town, which cost us $12.00 per person. As we entered old town we saw Spanish colonial buildings, churches and cathedrals everywhere maintained in its original form. 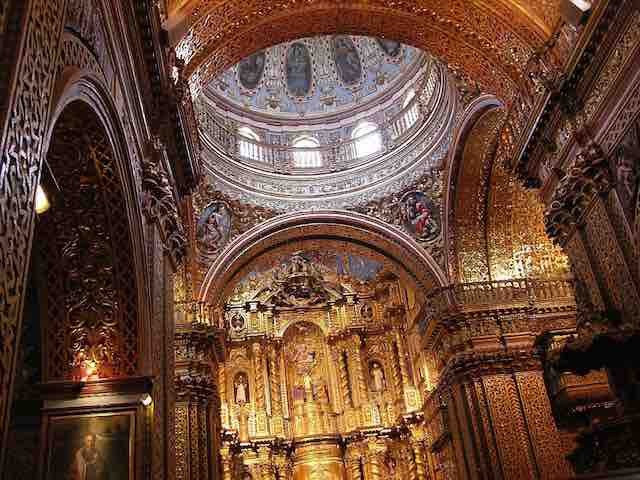 As we were driving down the old town Quito we passed beautiful church — Basílica del Voto Nacional. We wanted to visit El Panecillo first so we took some pictures of this church from outside. We should have visited this place earlier as it got closed when we returned later in the evening. We first visited El Panecillo – a hill that is located in the west of the city. 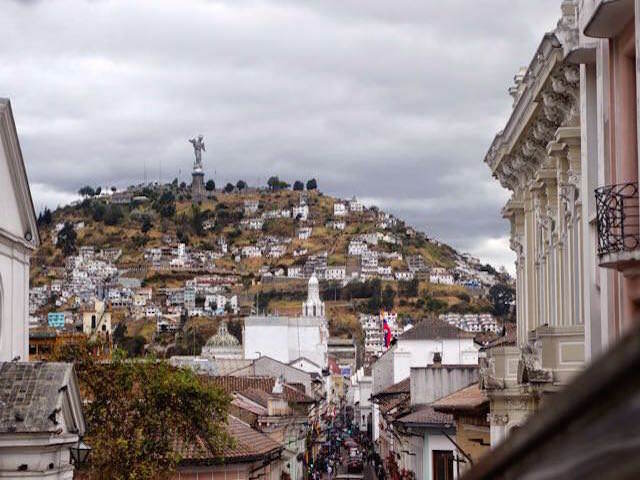 This place has a monument of Virgin Mary, which is visible from most of the city of Quito – views from El Panecillo were definitely breath taking. It was recommended to us to take a bus to this place, as it was not safe to walk uphill. 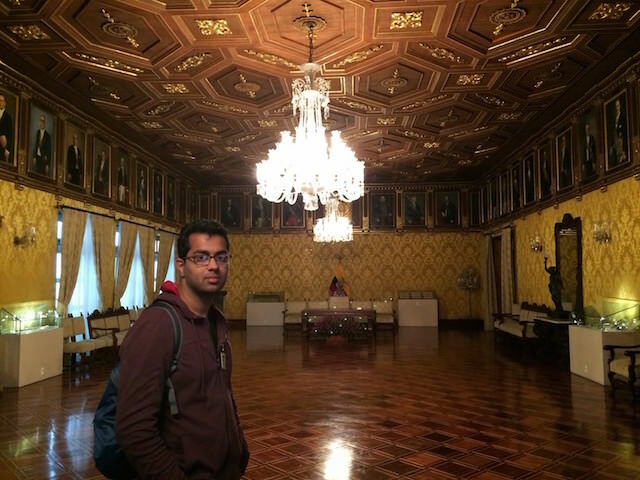 Next, it was time to visit Carondelet Palace – office and the house of President of Ecuador. Entry is free but you need to show your passport or id which they keep during the tour. We used our US driving license as we were not comfortable giving our passports. 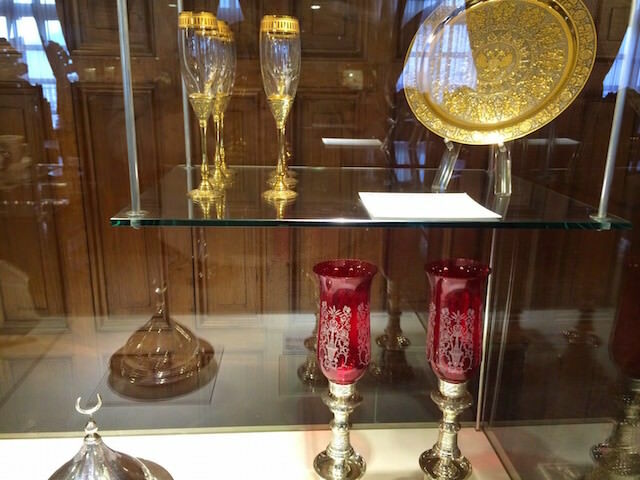 Some part of this palace is converted to a museum and open to public in 2007. 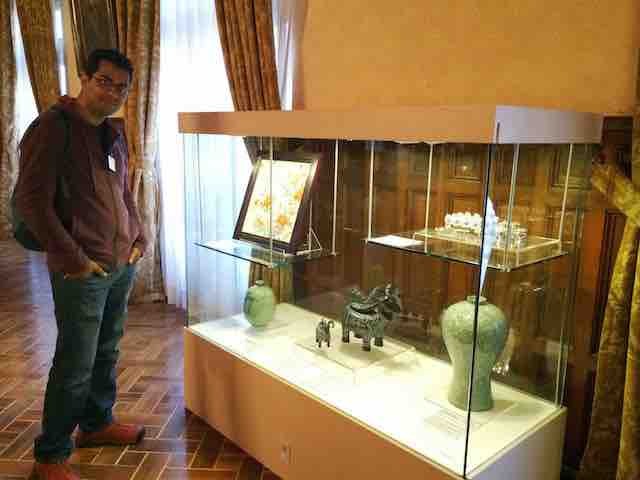 President’s palace is beautiful and influenced by Spanish architecture and has a lot of antiques and gifts given to the president of Ecuador although most of the items there were very new. 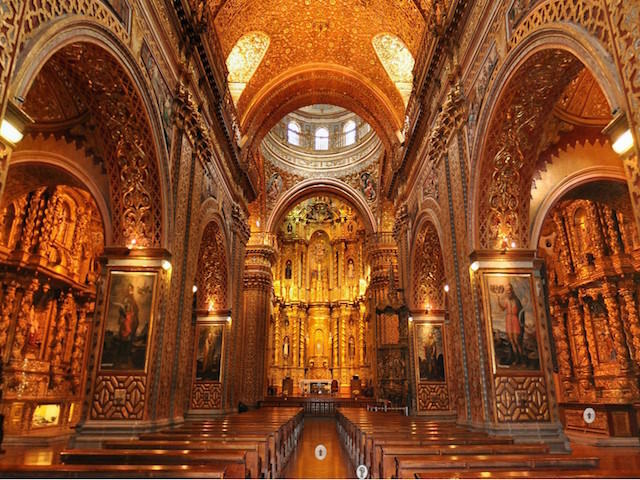 Later we visited la Compañía – one of the best-known churches in Quito, which is profusely decorated with gold leafs and wooden carvings mostly inspired by Roman churches. Photography was not allowed inside the church so posting some photos from the web to give an idea about this place. It was already getting 5.30 in the evening and most places were getting closed. For tourists it is recommended to take cabs as its a much safer option around old town but we wanted to get local feel so we decided to walk back to our hostel. We avoided a few streets that we sensed were not safe and finally reached our hostel in around 45 minutes walk from old town. After having dinner we slept, as we had to wake up early next day for our 3 day biking tour – which was truly an amazing experience, more on that later.